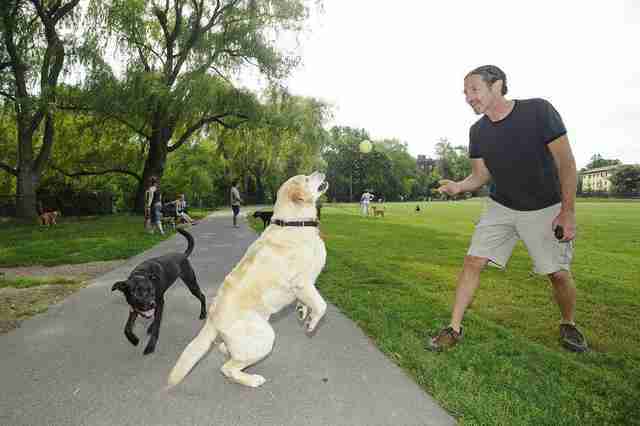 The right for dogs to have a place to romp in an urban setting is hotly contested. There are those who believe that unleashed dogs present a safety as well as a hygiene threat. Countering that are those who believe dogs deserve some semblance of freedom, even in the midst of city dwelling. Both sides are passionate and not a little unbalanced at times. 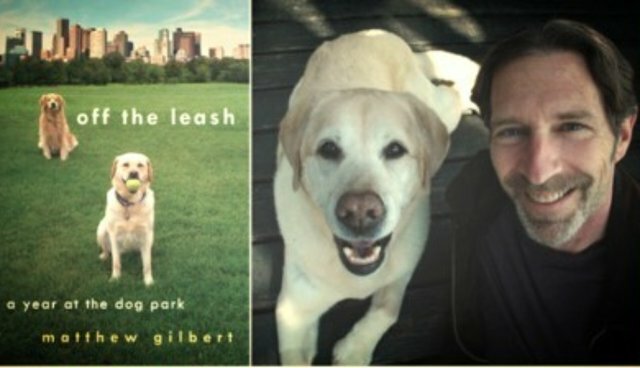 Matthew Gilbert entered the leashless world of dog parks with a new puppy, Toby, a new husband, Tom, and soon a new perception of society. He was introverted, preferring his time spent alone writing television reviews for the Boston Globe to actual contact with fellow creatures, human or otherwise. But Toby (and Tom) opened a door that eventually led to an appreciation and compassion for others. In his memoir about Toby's first year playing at Amory dog park in Boston, Mr. Gilbert laughs at his own initial discomfort, as he frantically searched for hand sanitizer after bagging Toby's droppings, avoiding people who seemed too eager to bring him into their weird fold. He felt they were aliens with whom he was forced to mingle for the sake of his puppy, and to appease Tom. But gradually his love for Toby grew, and so did his understanding of these crazy dog people around him. He developed deep friendships, both with humans and dogs. He let himself off his own leash. Toby and Matthew still visit the dog park, and I hope we will have a sequel someday to "Off the Leash," bringing us up to date with the latest happenings at Amory Park. It's refreshing to read about an awakening that doesn't involve tragedy or trauma. Matthew Gilbert and Toby have become ambassadors of sorts. We could use more of their kind.